Your customers are on a trip or an excursion and have time before they continue their journey. Ideal for sitting down in a cozy café, shopping or sightseeing. The only question is, what to do with the heavy and often bulky luggage? 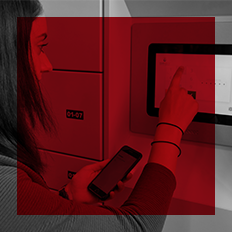 As the operator of smart public lockers Locksafe you can answer this question for your customers and offer secure luggage storage with this smart locker system. In addition, travellers and tourists can charge their mobile devices in the lockers. A pleasant cycling tour in the summer, a short stop at the train station or ferry terminal to visit a café or restaurant, but what to do with the often very expensive bike? The bicycle boxes Velosafe offer the perfect solution to keep your bike and luggage safe and sheltered from weather at short notice, without prior booking. In addition, e-bike batteries can be charged in the compartments of the bike garage, which is an additional incentive for visitors and tourists. 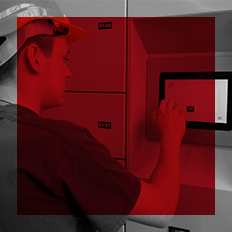 Companies often use special and expensive tools as well as electronic devices that are operated by several employees in shifts. These must be returned and managed at the end of the day to ensure a smooth flow. The handover of the devices and the recharging of the batteries can take place without additional personnel expenditure - and around the clock! 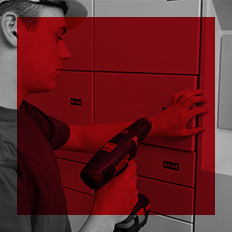 With the intelligent Servicebox Control locker system, you can organize the return and output of the equipment without the use of personnel and at any time of the day. 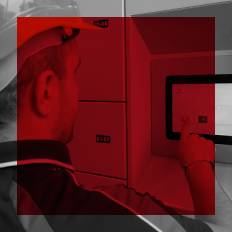 Thanks to the built-in software, the use of the devices can be easily controlled and documented. In addition, it is possible to charge the electronic appliances in the compartments after use, so that they are ready to be reused as soon as possible. In vehicle registration offices for example Servicebox Control is used to accept and return processed registration documents and license plates. 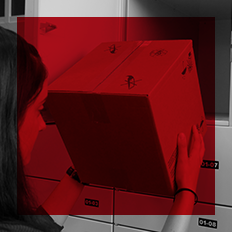 The gift or clean suit ordered online is urgently needed the next day, but the recipient is travelling on business or working and therefore not available to the delivery service. 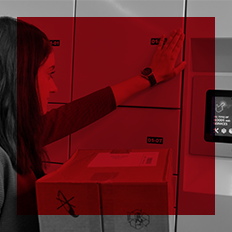 As the operator of the Servicebox, you can offer the solution because the urgent shipments and services can be delivered and picked up around the clock – 24/7. 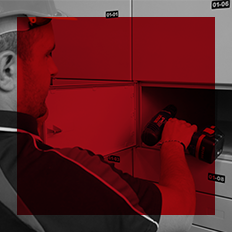 The service box can be used by everyone, so it can be supplied by all courier companies and service providers. 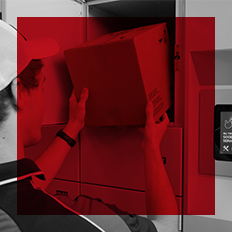 You can offer the service to both your customers and your employees, or you can simply use the service box to receive or deliver goods. 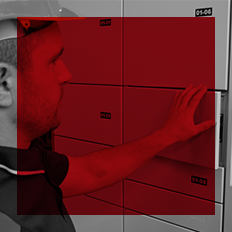 Some well-known airports use the Servicebox for example to hand over staff uniforms. The shift operation starts or the working day is longer than expected and there is no time for shopping - the supermarkets are closed. 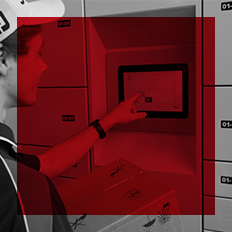 Offer your customers an innovative service with cool lockers: groceries and food can be ordered comfortably and easily online and picked up at the locker system when the customer is ready. 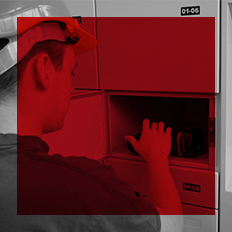 Not only uncooled but also refrigerated and frozen goods can be safely stored in a cool locker system. 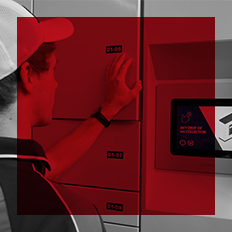 In addition, cool lockers can also be equipped with heated compartments, so that sensitive electronic devices can be delivered to your customers without damage.